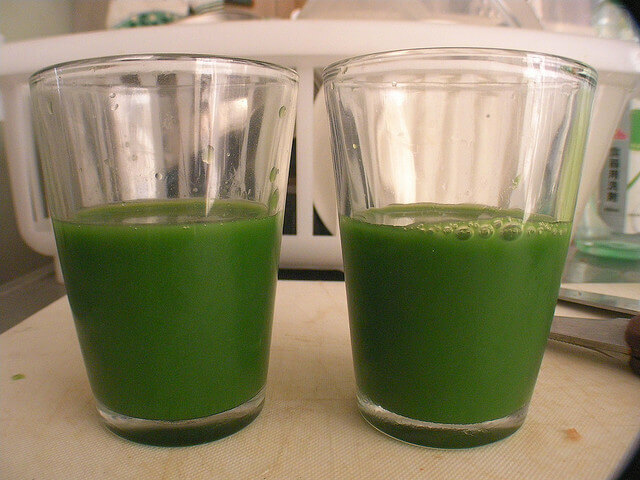 / Juicing or Blending: Which is Healthier? Juicing and “smoothies” have become all the rage in the healthy-eating world these days. In fact, one of my co-workers just recently starting making herself a 50% vegetable and 50% fruit smoothie for lunch each day instead of eating a full meal and she claims to feel better and more attentive throughout the afternoon, plus she said she still feels full like she would have after eating a regular lunch. I’ve personally never tried either fad, but the more I hear about it from family and friends, the more interested I’ve become. Some people I know have juicers and others have blenders, like the Nutribullet on Gumtree. After hearing about both from different people and other sources, I’ve decided to do my own little comparison here so I can weigh the pros and cons before deciding if I want to pursue this healthy trend and if so, which route will be better for me and my lifestyle. Since I already own a decent-enough blender, I’m tempted to try making smoothies first as I can see how they might be the more nutritious of the two options. This is because blending a smoothie takes a whole piece of fruit or vegetable and includes the fiber, which is essential for weight loss and to help you feel full longer. Making a smoothie will also require less fresh ingredients than juicing, which also makes it the more frugal choice too. I have also heard that making a smoothie is a much faster process than juicing (including clean-up of both pieces of equipment). The only concern I have about trying a smoothie (over juicing) is that my current blender isn’t powerful enough and that I might still have to end up buying a new piece of equipment no matter which option I choose. One of the benefits I could see for juicing is that you’ll end up with a smooth “drink” rather than a chunky smoothie since juicing doesn’t leave the pulp of the ingredients in the final product. I do have trouble with strange textures in food and drinks, so juicing would eliminate that problem. Because juicing takes a lot more ingredients, it does tend to pack a more powerful punch of nutrients than a smoothie (except fiber, as already stated). This might be a good way to go to start out with if your body is seriously unhealthy and in need of the most nutrients possible to help you get healthy right off the bat. There are also some vegetables that you can’t include in a smoothie, like wheat grass, which is really good for you but isn’t something our bodies can digest well. Either way I go, I’m sure I’ll have to invest in a new kitchen gadget if I want to end up with the best possible product. I just wish there was a way to “try it before you buy it” as I don’t really want to end up with an expensive new kitchen gadget collecting dust if I decide that neither juicing or blending is the right choice for me. Do you juice or blend? Which one would you try first? I’m sad to hear that you didn’t keep juicing and that you didn’t really “feel” a difference. I have to admit, I haven’t been juicing or blending lately either. I got off track when I got sick and haven’t gotten back to it like I should.